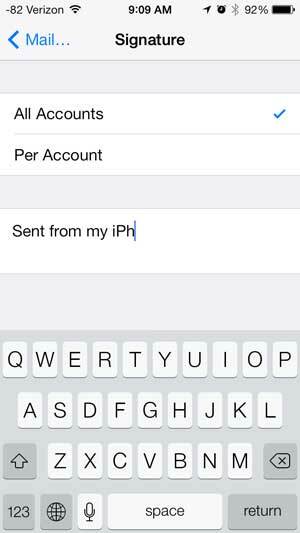 Your iPhone has a number of settings that are configured a certain way when you first start using the device. Most of them are useful, but there are others that you might want to adjust due to personal preference. 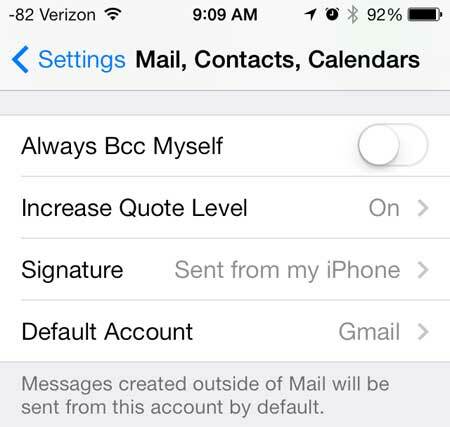 One of these is the default signature that is added to any email that you send from the Mail app on your iPhone. The default signature says “sent from my iPhone”, which allows any recipient of an email that you compose to know that the message was typed from your phone. In many situations this is perfectly fine, but some people don’t want others to know that they are on a mobile device instead of a computer. Check out the iPad Mini if you are looking for a bigger portable device that is easier to type on, browse the Internet and watch movies. While the steps below are specifically focused on removing the signature, you can take this opportunity to change the signature as well. After completing the step below where you delete the signature, you can simply type in the signature that you would prefer to use instead. Step 3: Scroll down and select the Signature option. Step 4: Touch inside of the text field that says “Sent from my iPhone”, then press the Delete key on the keyboard to delete the letters. You can then touch the Mail button at the top-left corner of the screen to return to the previous menu. You don’t need to press a Save button or anything to apply the changes. Learn more about the Roku 1 if you’ve been looking for an easy way to watch Netflix, Hulu or Amazon Prime streaming videos on your TV. One of the best new features in iOS 7 is the ability to block callers. 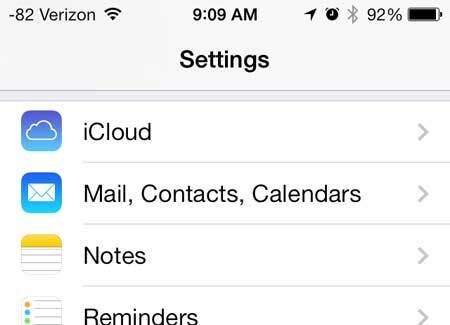 You can learn how to easily block callers in iOS 7 and stop receiving calls from pesky telemarketers.